The Prosecutor's Office of the Autonomous Republic of Crimea opened criminal proceedings in connection with the elections to the State Duma on the peninsula (p.2 of article 110 of the Criminal Code of Ukraine - Encroachment on the territorial integrity and inviolability of Ukraine). The article provides for imprisonment for a term of 5 to 10 years. 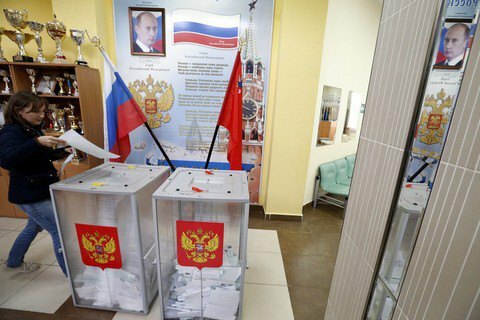 On September 18, the Russian Federation held elections to its State Duma, including on the territory of Crimea, annexed by Russia in the spring of 2014. On Tuesday, the Verkhovna Rada recognized the new Russian State Duma illegitimate. A number of countries and international organizations did not recognize the results of elections in Crimea. In one way or another, protests have been stated to date by the PACE, the United States, Estonia, Lithuania, Romania, Sweden, Denmark, Canada.